If you love the indulgence of watching movies all day, then today is your day! Tomorrow is your day too. Films begin at 10 a.m. and go well into the night. Of course, you can just come for one or two. This afternoon’s Shorts Program, is like a DFF sampler, allowing you to see five films in 80 minutes. Here are links to the trailers to the feature length films and the times for today’s screenings. 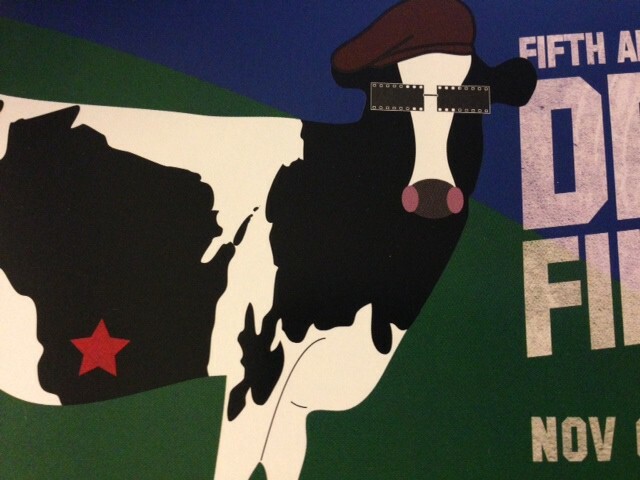 For a complete list of the weekend line-up visit www.driftlessfilmfest.org or pick up one of the fold-out brochures with the movie cow on the front. This entry was posted in Entertainment and tagged Driftless Film Fest. Bookmark the permalink.